*INFO: Parking:free, leave your car in the shade and head up the trail towards the courtyard. Pay station is at the bar on the right. 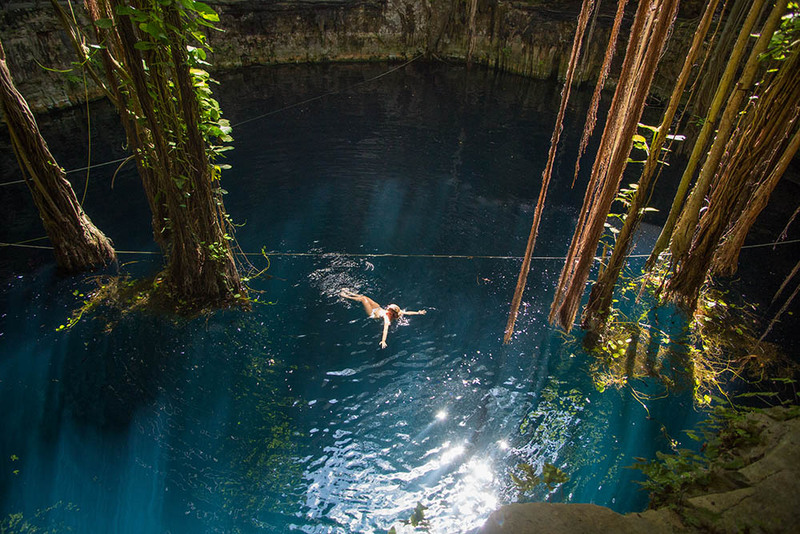 Our absolutely favorite cenote. 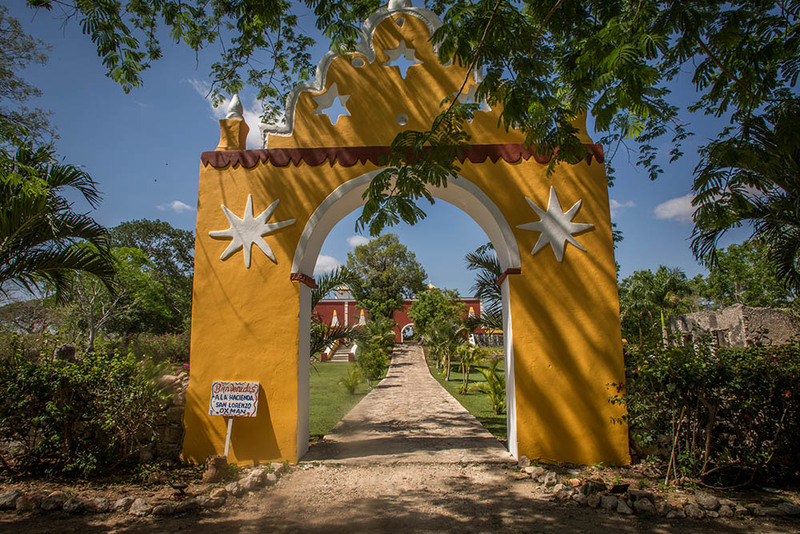 It is a not the easiest drive in the world and you will need around 2 hours to get to it from Playa del Carmen or Cancun. 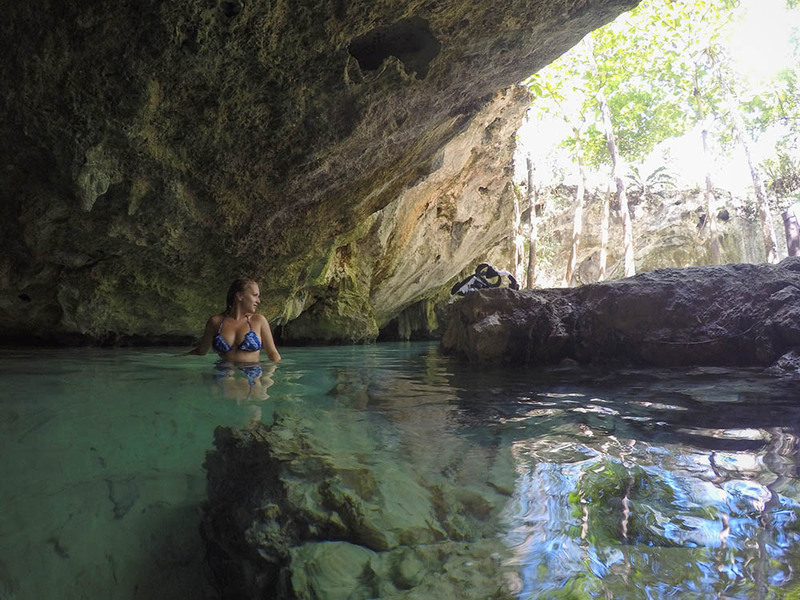 The cenote is absolutely magical, as are the surroundings. The Hacienda has been standing from 1700’s and the grounds are breathtaking. The moment you descend into it, time stops and you are teleported through time. The roots hanging down into the water, black catfish swimming below, bats and swallows are flying all around you; it is just transcendence. You can swing on a rope, jump from a platform or dive down and watch the light rays disappear into darkness. *INFO:Parking:free. Follow the signs, not the GPS to get there. The small road that leads from Quintana Roo road takes you through the jungle and you have to drive really slow. 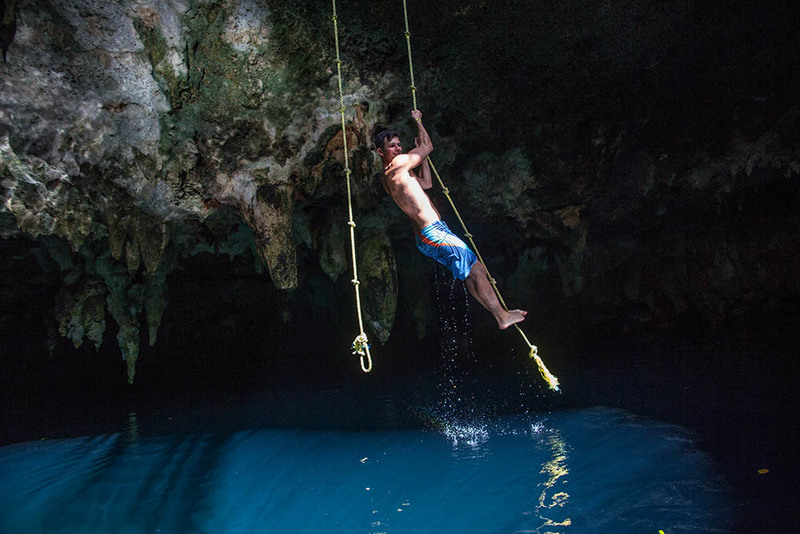 You will be asked to sign a waiver and get a bracelet prior to entering the cenote. Another hard to reach cenote but almost as stunning as Oxman cenote. 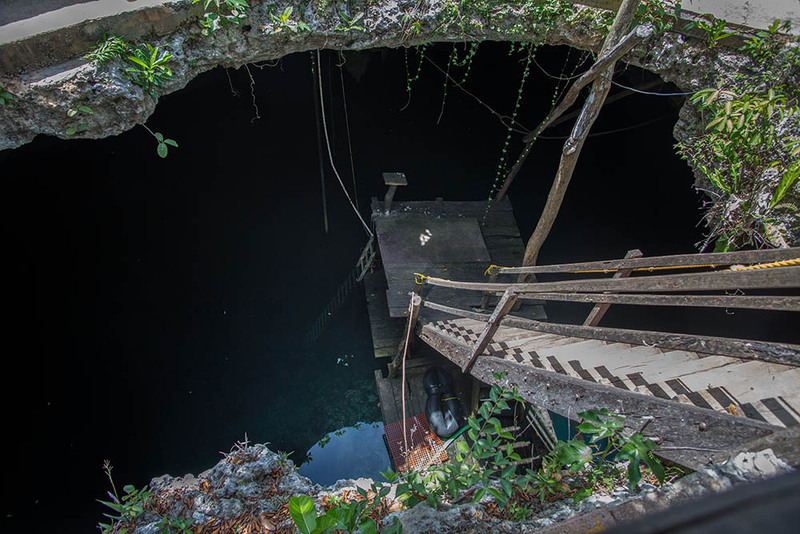 This cenote is more dark, ominous and brooding. Bat presence and huge stalactites make it into one creepy experience. There are ropes and platforms to dive as well. While you are in the area, check out the ziplines and bike tours that park offers. The host, Ricardo will answer any of your Mayan questions and will be happy to explain the sacred history of the cenote. *INFO:Parking:free. 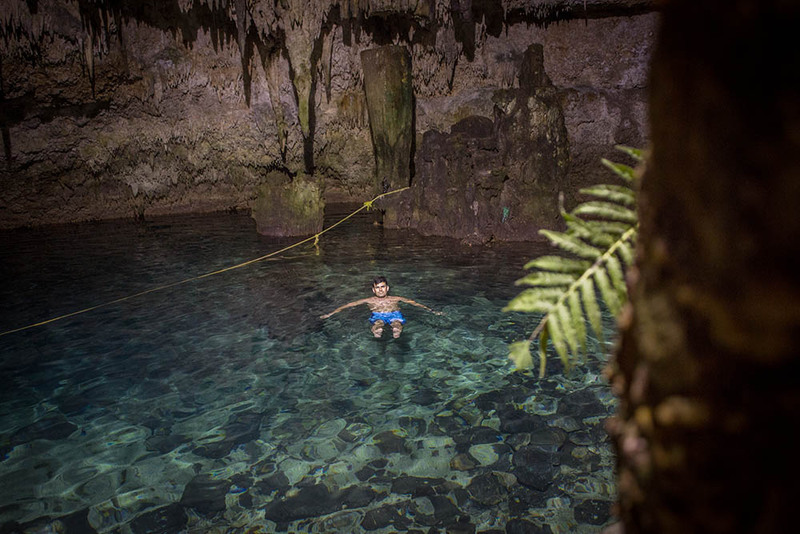 Once you are in the park and pay for the type of cenotes you plan on visiting, keep the tickets. From the ticket booth it is a 3 km walk or drive to Dos Ojos cenotes. You will be asked to provide the tickets you paid for. Should you decide to lock your valuables, you can rent a locker for 50MX. 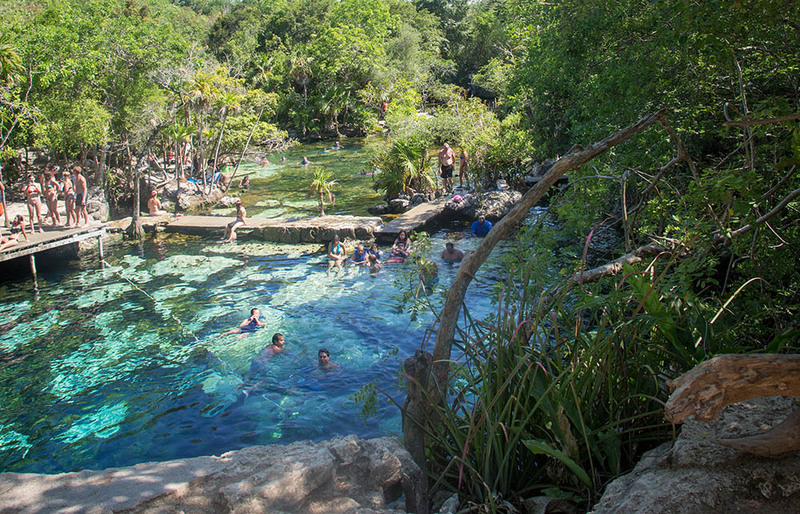 Dos Ojos is actually a park that has 6 cenotes but you will have to pay for each one. For snorkelers, Dos Ojos is the best choice. 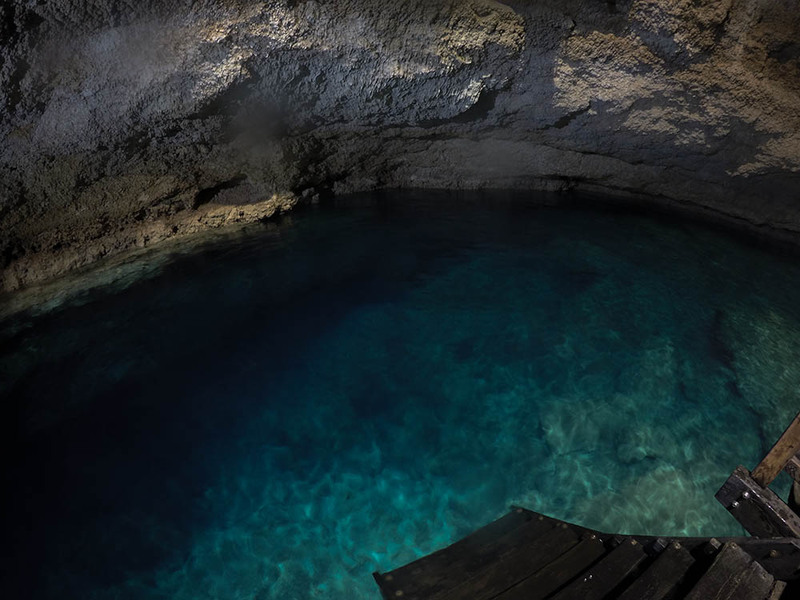 There are two cenotes side by side that make up Dos Ojos (two eyes). The Ojo one cenote actually does not resemble much. It looks like a very shallow pond and you are in for a suprise. The moment you dive down, the scenery takes your breath away. An amazing experience. *INFO: There is a ticket booth right at the road turnoff. You have to buy tickets there for Choo – Ha and Tamkach – Ha. 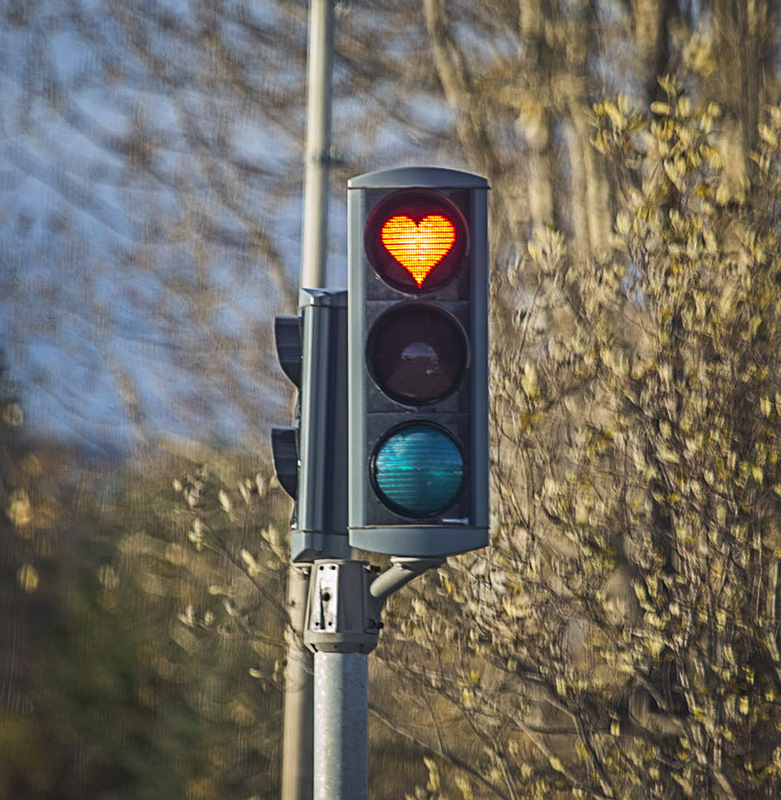 After tickets, continue straight ahead till the parking zone. There will be an attendant who will stamp your ticket. The stairs are quite slippery, make use of the rails. An underground cenote beside Coba. A very eerie experience to be completely underground, surrounded by stalagmites and stalactites in complete silence. Usually devoid of tourists. *INFO: There are a lot of turtles past the cave. Once you get past the bat cave, there is a bend in the cenote and turtles lounge on the sun there. Grand Cenote is quite underrated. It is the only cenote that packs a full lineup. 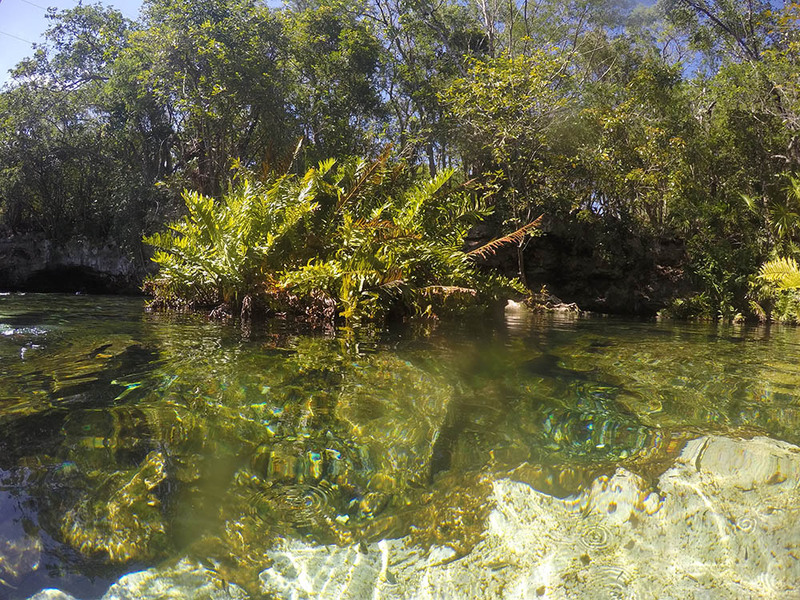 You can find: clear water with deep crevices, bats, caves and lots of fish and turtles. 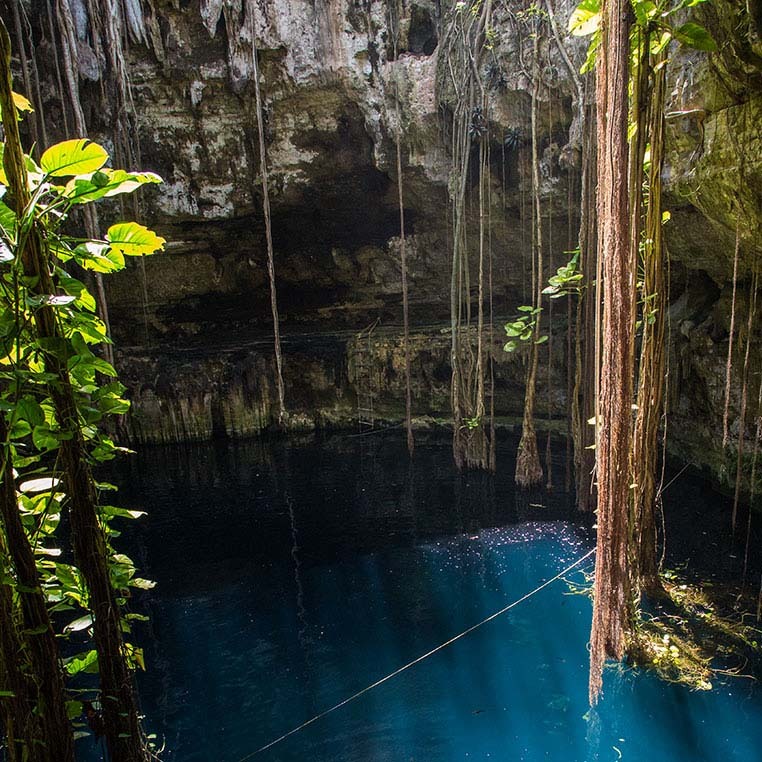 A favorite among tourists and locals, this cenote is popular due to high density of fish that call it home. If you sit still long enough, you will get a foot massage by the fish biting the dead skin. Not a very popular tourist hangout, but definitely worth the visit. Used to be a place where the locals would wash their cars and I am incredulous at their ingenuity because it is quite deep. 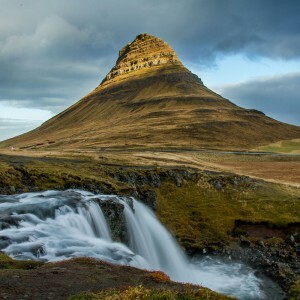 There are jumping platforms and tons of vegetation full of fish and turtles. There is also a very deep cave that is explored by divers. We nearly got robbed there by some locals who were discussing taking our cameras not knowing we speak Spanish. *INFO: When driving from Coba, pass by the booth that sells tickets and head straight to Multum. 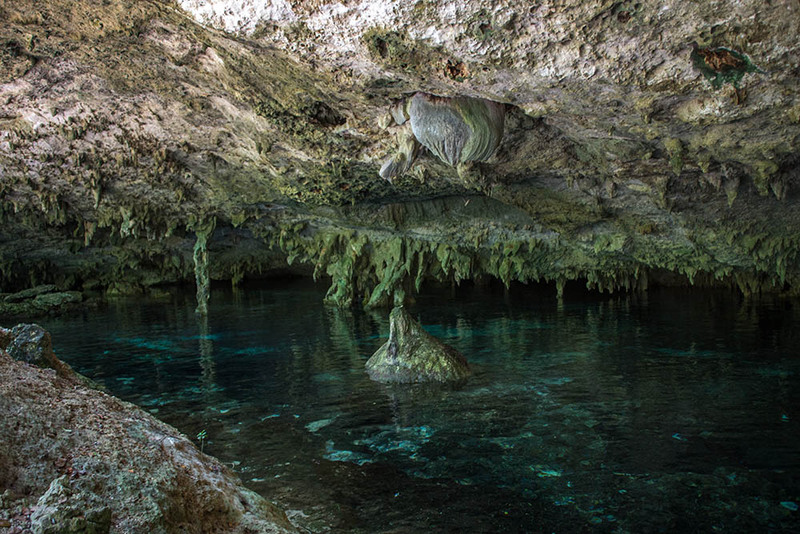 You can buy tickets there and it will be the least busy of the three cenotes in the area. 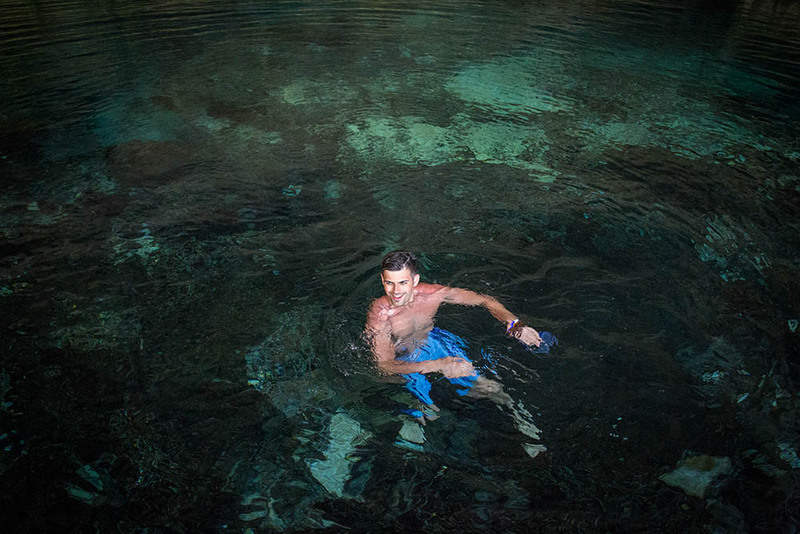 The cenote is as circular as it gets and is quite deep. The water is a lot colder than others. In close proximity to Choo – Ha, Multum has a big platform to jump off and clear water to snorkel around. There is even a lifeguard on duty as it is quite deep. Please avoid non organic sunscreen, as it will harm the environment. Do not show your attitude at being told to shower before entering the cenotes. Do not throw away your ticket after you pay. You will need to have it stamped in many places and also you might be asked to show that you paid. Be aware of your belongings (common sense stuff) and take the bare minimum with you. 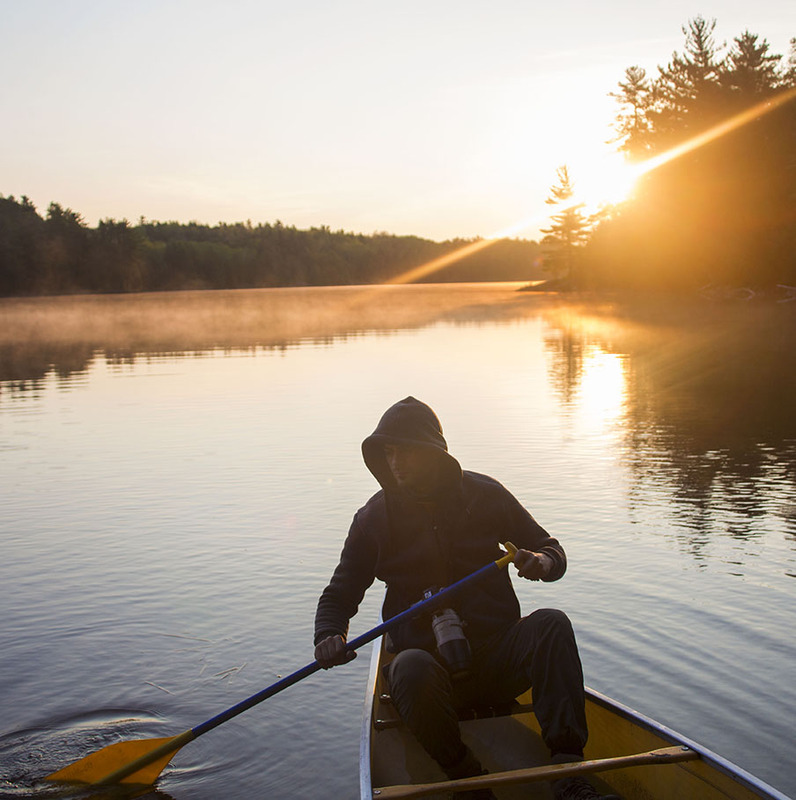 Water shoes are not necessary and you will have to wear a life jacket if you can’t swim but otherwise it is optional. Do not touch stalactites. They are very fragile and break easily. Take your garbage with you. This is standard all over the world. Respect the cenotes as they are a very sacred place for the Mayans. Have pesos on you, some of them do not accept dollars. Your photos makes me want to get on a plane and travel. 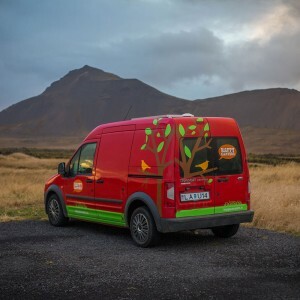 Too bad I am not that brave to rent a car and drive around.